Home » About "The Beatles Cafe"
Hours: Open 7 days, 11a.m. – 11p.m. 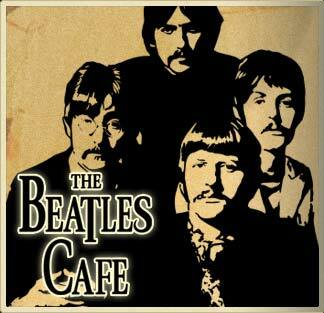 “The Beatles Cafe” in Minsk is a restaurant for those who like to drink beer listening to good music. This place, having up to 55 seats, was created as a cosy beer restaurant with beer of excellent quality and wonderful beer cuisine. Beer cuisine isn’t just substantial but home-made tasty with variety of sauces, spicy dressings that go quite good with light and dark beer. Reading the menu you will be pleasantly surprised at subtle irony given to a wide variety of the names of dishes. The same way as kinds of beer gathered from different countries the dishes of the restaurant present various European cuisines. In short it is a wonderful place of comfort and culinary verve. The menu of the restaurant as well as the size of helpings is very generous. Pay attention to the taste and way of serving the specialty of the house. You will find fresh salads, tasty meat dishes, appetizing fish, pizza, pasta and delicious sausages that are cooked here to original recipes and perfectly go with beer. At present this is the only restaurant in Minsk where such a great variety of sausages to beer is served. So this restaurant is a wonderful place to spend a nice time and relax. Listening to beautiful music of the Fab Four: Paul McCartney, John Lennon, George Harrison and Ringo Starr you will have an unforgettable evening in “The Beatles Cafe”. The interior of “The Beatles Cafe” keeps to all the best traditions of English beer restaurants. There is a warm pleasant atmosphere here. It is a right place not only for business dinner but for a merry evening in a good company. “The Beatles Cafe” isn’t just a Beatles Mecca in Belarus but the only museum of the legendary band in our Republic. Upon request you will be offered an excursion around the Cafe with the issue of the certification and the display of the Beatles rarities such as “John Lennon’s” guitar, the golden disk “Abbey road”, original posters of the band, various other Beatles trifles and also reviews, signatures and photos of the famous musicians visited “The Beatles Cafe”. The restaurant is equipped with plasma screen, broadcasting different concerts and music videos. People also come here to watch sport events the quality of which is provided by the channel NTV+. The main room of the restaurant is provided with AC. During the warm period of the year there is a summer terrace the interior of which emphasizes pleasure and romantic spirits of being in the open air. anquets, corporate parties and weddings are always arranged with a touch of fancy and high professionalism. The astonishing design of the room and excellent cuisine will only increase unique charm and special mood of any even. Thematic parties are held in “The Beatles Cafe” every week. Meetings with famous musicians as a pleasant addition to an evening take place here on Fridays. 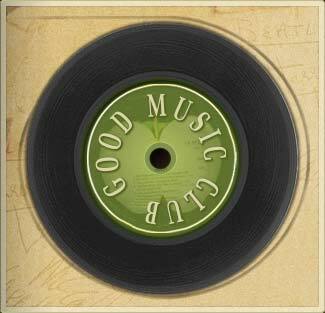 Live music is on from 8p.m. till 10p.m. Stirring rhythms of the 70-s and 80-s performed by bands will plunge you to the sweet recollections of youth, carelessness and gaiety every Saturday at 8p.m. Everybody likes to recollect the best moments of his life so why not do it in “The Beatles Cafe”! Music unites people and “The Beatles Cafe” unites generations. Welcome to “The Beatles Cafe” in any mood and with any sum of money! Life-asserting cuisine will comfort you and cheer up your vitality! Hospitable personnel, wonderful cuisine and marvelous atmosphere are waiting for you in “The Beatles Cafe”.